The Host is the heart, soul and leader of an event. You should feel confident that your host can manage your event with the utmost care and professionalism. Ray DeJon's hosting career spans over 25 years, thousands of shows ranging from as little as 20 people to over 5,000. Whether he's hosting at a basic venue, theater, arena or comedy club his ability to adjust to any crowd is simply amazing! Ray DeJon is available to host weddings, fashion shows, sports events, comedy shows, black tie affairs and more. Ray DeJon is a prominent international Host, Comedian and Motivational Speaker. His 30 year career in radio, television and live events is credited with transforming the entertainment industry. 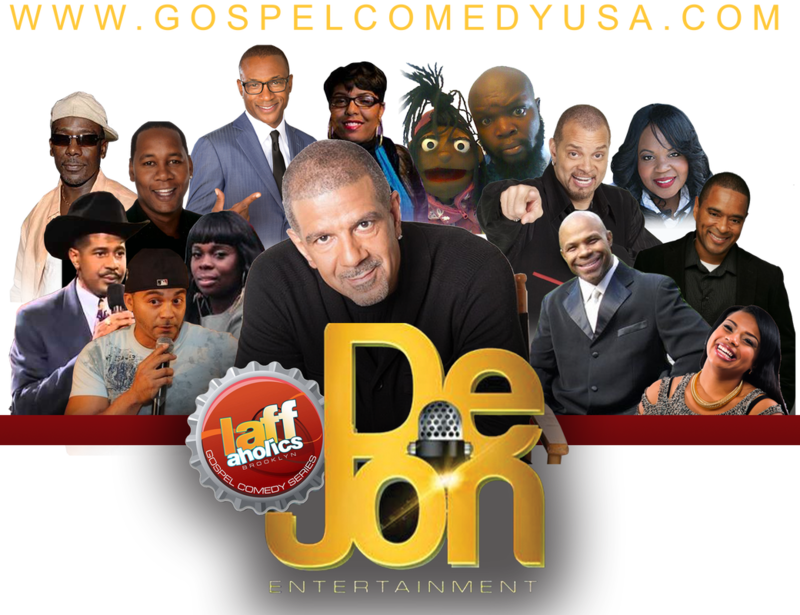 DeJon’s storied career includes hosting popular radio and television shows on Hot 97, WBLS-FM and WNYE-TV and live events like Dance Traxx USA, Amateur Night at the Apollo Theater and major Hip-Hop and R&B concerts nationwide. He is widely recognized as the host of the prolific American music television program Video Music Box and has interviewed A-List celebrities including Biggie Smalls, Stevie Wonder, Carmelo Anthony, Kevin Hart, Sean "Puffy" Combs, Jamie Foxx and Alicia Keys. In 2001, the veteran comedy promoter launched “Stand-Up @ the Movies,” a one-of-a-kind partnership with National Amusements, Inc. that brought comedic legends like Paul Mooney, Donnell Rawlings, Bill Bellamy, Sommore and Bed-Stuy native Tracy Morgan to the East New York section of Brooklyn and launched the careers of comedic heavyweights like Kevin Hart, JB Smoove, Mike Epps and Bill Burr. The inaugural event sold out the approximately 400-seat Linden Boulevard Multiplex Cinemas before opening night and expanded to include monthly showcases in theaters across the northeast. DeJon is also the owner of Brooklyn’s first Black-owned comedy club, Laffaholics, the launch pad for some of the New York City’s best emerging comics and the set of Laffaholics Live, currently in its fifth season on BRIC-TV/Verizon Fios. DeJon is the Founder and President of DeJon Entertainment.His latest ventures include partnerships with the Resorts World Casino New York City and Eastern Leight Getaways, where he produces, promotes and hosts comedy and music concerts with acts such as Boys II Men, Sinbad, Naughty by Nature, Sommore, Doug E Fresh, Tommy Davidson, Tamar Braxton, Rick Ross and K. Michelle. BOOK AN APPOINTMENT WITH RAY DEJON TODAY! Contact Ray DeJon to Host Your Next Event!